Lorry Myers is a hometown writer from my roots in Centralia, Missouri. She pens a column for The Columbia Tribune that you can enjoy here. We initially crossed paths at a Career Fair event while I was in high school. She eventually wrote a very kind column about our discussion that day. Although I don’t recall it as well as her, she remembers that I told her something to the effect of: I’m going to grow up and be a writer! Here’s another nice article about Lorry when her column began running in The Tribune. I don’t live on a farm or drive a tractor or ride a bus to school. But I am familiar with the Angell family and their legacy in my hometown. 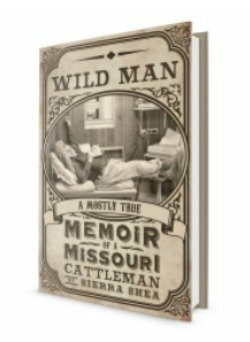 That’s what attracted me to Sierra Shea’s first book, Wild Man, A Mostly-True Memoir of a Missouri Cattleman. In Sierra’s second book, Sheep, Stetsons & Stockyards: Stories on Surviving Change, I expected tales about family and farming and philosophies from wise men and sassy women and Sierra didn’t disappoint me. But I also found myself being schooled on the livestock industry and the series of events that changed a family business. Woven through the history of Sierra’s family, another story is being told. Her well-written words allowed a “town” girl like me to understand the complex cattle buying business and the glory and decline of the stockyard. 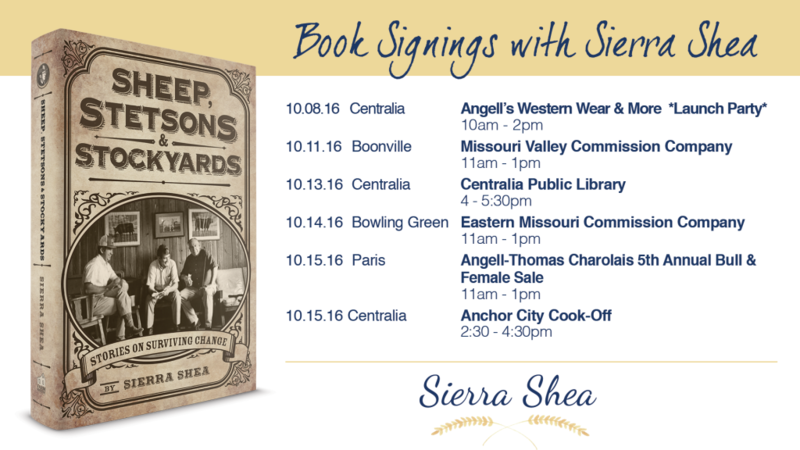 Sierra’s book is illustrated with family pictures and historical photos of places long gone. The black and white prints allow the reader to witness the passing of time and the death of a way of life. Sheep, Stetsons & Stockyards: Stories on Surviving Change is not only a story book, it is a history book too. Well worth the read and the lesson, a worthy addition to my bookshelf.